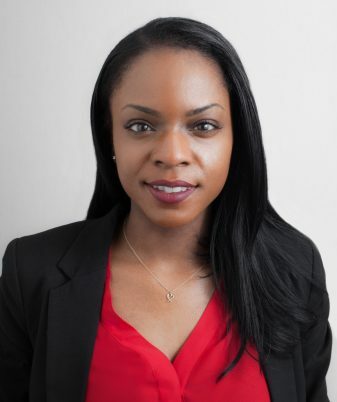 Raziya Brumfield joined Guerrieri, Bartos & Roma, P.C., as an associate in 2018. Prior to joining the firm, Ms. Brumfield served as an Associate Staff Counsel for the National Education Association’s Pennsylvania affiliate. In this position, Ms. Brumfield represented school employees before administrative agencies and in arbitration. Ms. Brumfield has extensive experience preparing legal opinions, statutory interpretations, and bill analysis concerning issues affecting employee rights. She has participated in organizing and collective bargaining , and has made numerous presentations to employees and union leaders concerning labor and employment issues. Ms. Brumfield pursued a career in law because of her interest in the labor and civil rights movements. She graduated from the Washington College of Law at American University in 2015. During law school, she served as a student attorney in her school’s Disability Rights Law Clinic and participated in the U.S. Department of Justice’s Summer Law Intern Program, working in the Equal Employment Office for the Executive Office for Immigration Review. Ms. Brumfield received a Bachelor of Arts from the University of California, Berkeley in 2009. She is admitted to practice in the District of Columbia and Pennsylvania.